Rick Kriseman is seeking his second term as St. Pete’s mayor. ST. PETERSBURG – U.S. Sen. Cory Booker has thrown his support behind Mayor Rick Kriseman. Booker, a Democrat, is New Jersey’s first African-American senator and a former Newark mayor. Booker is the latest high profile Democrat to support Mayor Rick Kriseman–joining former President Barack Obama, former Vice President Joe Biden, U.S. Sen. Bill Nelson, former HUD Secretary Julian Castro, former Maryland Gov. Martin O’ Malley, and U.S. Rep. Charlie Crist, D-St. Petersburg. “Rick Kriseman is the clear choice for St. Pete mayor. He is a progressive and a proven leader, and he wants to move St. Pete forward, not backwards. Mayor Kriseman led the way on important issues like banning the box, and his Second Chance program for kids and apprenticeship programs are having a real impact on reducing poverty. Under his leadership, St. Pete is a safer city with more opportunity for all,” Booker said. Booker is also recording a robocall this afternoon (Nov. 3) in support of Kriseman. The robocall will be released this weekend. “This is U.S. Sen. Cory Booker, and today I’m asking you to get out and vote for Rick Kriseman for mayor. “As a former mayor and the first African-American senator in New Jersey, the choice for me is clear: Rick Kriseman is a progressive and a proven leader, and he wants to move St. Pete forward, not backwards. “Rick Kriseman led the way on banning the box and his Second Chance program for kids and apprenticeship programs are having a real impact on reducing poverty. “Under his leadership, St. Pete is a safer city with more opportunity for all. Please return your absentee ballot or vote on Election Day. Nov. 7th, for Rick Kriseman. Kriseman is seeking his second term as St. Petersburg’s mayor. He is facing a challenge from former Mayor Rick Baker. Early voting ends Sunday (Nov. 5). The election is Tuesday (Nov. 7). For information about Kriseman, go to krisemanformayor.com. 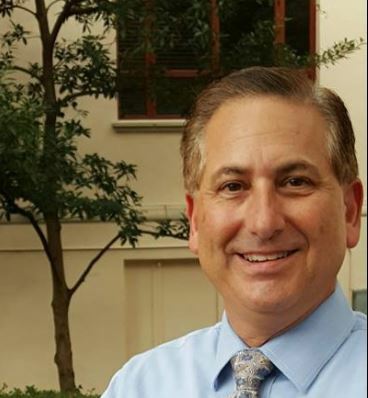 Rick Kriseman is seeking his second term as St. Pete's mayor.